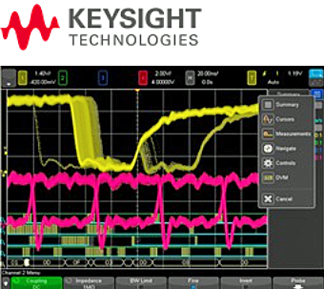 [SatNews] Stay up to date on the latest technologies and solutions with complimentary Keysight webcasts—this webinar focus in on the tips and techniques for making the best oscilloscope measurements. When debugging or validating your design, it is important to understand both the measurement capabilities of your oscilloscope and the different factors that influence the effectiveness of specific measurements. These factors include waveform update rate, gated measurements, automated statistics, jitter, advanced triggering capabilities and the application of analysis software tools. Attend the webinar and learn about applying a cost-effective, easy to use InfiniiVision X-Series oscilloscope to debug and test a variety of digital or analog designs. This webinar is of particular use to engineers and technicians designing, testing, or debugging analog or digital designs. The webinar will occur on June 16th at 10:00 a.m., Pacific time / 1:00 p.m., Eastern time. To register, please access this direct infopage.